The most fun panel show of the lot is back and off to a winning start. 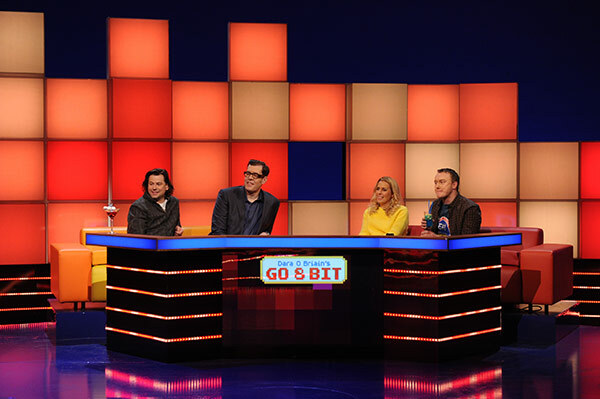 One might remember the strikingly original Go 8 Bit from when it first aired in Autumn last year. It featured Dara O’Briain as host, comedians Steve McNeil and Sam Pamphilon as team leaders, and two different celebrity guests each week playing video games for points. Plus, in typical video game style, expert Ellie Gibson was on call to give guidance and explain the mechanics of the show (and games). Now, the series is back with some of its best guests yet, more classic (and modern) video games with just as much interesting information as ever. 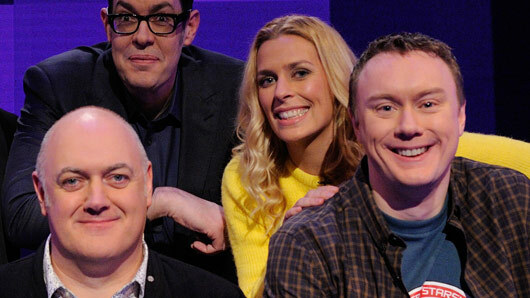 In the first episode, Dara, Steve, Sam and Ellie are joined by Pointless‘ Richard Osman and comedian Sara Pascoe – a pair who prove to be far better at video games than they let on! What we love about Go 8 Bit is how different it is to other panel shows and how it is unafraid to celebrate that difference. Comedians going head to head on video games – rather than using their usual quick wits – to entertain an audience is a risk. So is introducing an all-knowing expert like Gibson as part of the show – and yet it all works together to create a fantastic homage to the world of gaming we love. There’s also something for video game fans of all ages and styles. Go 8 Bit covers classic arcade-style games to games that are everyday essentials for modern teens. This means it hits a nostalgic sweet spot regardless of what era one started gaming. It can, therefore, succeed where shows of this type typically fail astonishingly – bring generations together in their interests. Then there’s the talent involved. It’s clear that those involved in the making of the show honestly care for video games, and evidence of that love is etched in the very fabric of Go 8 Bit. We’ve heard O’Braian frequently refer to video game expertise (or lack thereof) in his stand up, and Steve and Sam are exactly the kind of guys one would invite for a night in front of the console of one’s choice. All in all, Go 8 Bit is a well-crafted gift of a show which will perfectly appeal to the sensibilities of any video game fan – and this season looks ready to be bigger and better than ever before.